When working with the San Antonio Premier Group, we provide each of our customers complimentary home staging when selling their home. We work exclusively with C.L. 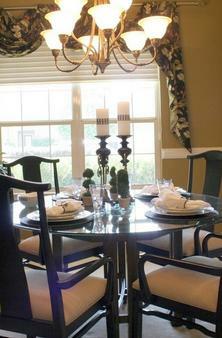 Nichols Design, who produces original design in the form of Custom Interiors and Home Staging. Cheryl Nichols is an Allied Member of the American Society of Interior Designers and a dedicated member of the San Antonio Premier Group. She holds a Bachelor of Fine Arts degree in Interior Design. She has won numerous design and artistic awards. Ms. Nichols takes great pride in her work and places an emphasis on creative thinking in the design process. She believes that fine art can coexist with interior concepts to produce extremely livable, beautiful spaces. Should you have any questions about having your home staged, please contact the San Antonio Premier Group at 210-818-0669.